A very beautiful example of why our nature will never seize to amaze us! 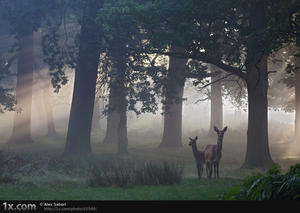 Photo by: Alex Saberi. 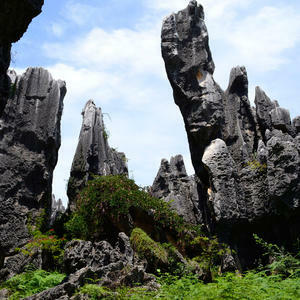 These 'stone trees', are a notable set of karst formations located in the Shilin Yi Autonomous Country, Yunnan Province of China. Their creation is caused by the dissolution of limestone and are believed to be over 270 million years old. After the glaciers melted they left this gigantic boulder behind, so what does nature do? Survive. 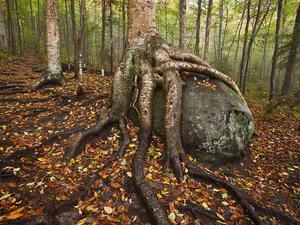 This yellow birch spreads its roots, almost like tentacles, and grows on top of the boulder. Nature's harmony is simply amazing!